No matter the size or style of your vessel, fuel consumption is always something that ship owners are looking to improve. With today’s fuel costs significantly higher than that of the past, finding any possible measure to lower consumption is always welcomed. One of the most important ways to ensure your vessel’s fuel consumption is optimized is to conduct underwater investigations and repairs on the propeller. As the driving force of every ship, the propeller’s condition is directly correlated with the amount of fuel the ship consumes during each voyage. The first and most obvious step is to check to the propeller blades for any damage, including dents and scratches that alter the natural rotation. Although they may seem miniscule, even the smallest imperfections on the blades can drastically decrease fuel efficiency, leading to higher costs on every trip you make. If a propeller is discovered to have dents or damage that are inhibiting its movement, a majority of the time it will undergo a smoothing process. The intensive propeller polishing creates smooth and damage-free blades that immediately impact the amount of fuel which is consumed. The added benefit of the process is that it helps maintain the propeller by removing any initially small damage that can grow into a biggest problem in the future. By regularly polishing propeller blades, you are not only saving money with the amount of fuel your vessel consumes, but you are also taking preventive measures to ensure you will not need to drydock your ship for more serious problems in the future. Another method for saving fuel is adding a cone fin to your propeller, which helps reduce energy loss in its slipstream. By limiting the cavitation on the hull and rudder, this simple yet effective addition can lower fuel consumption by up to 5% immediately. 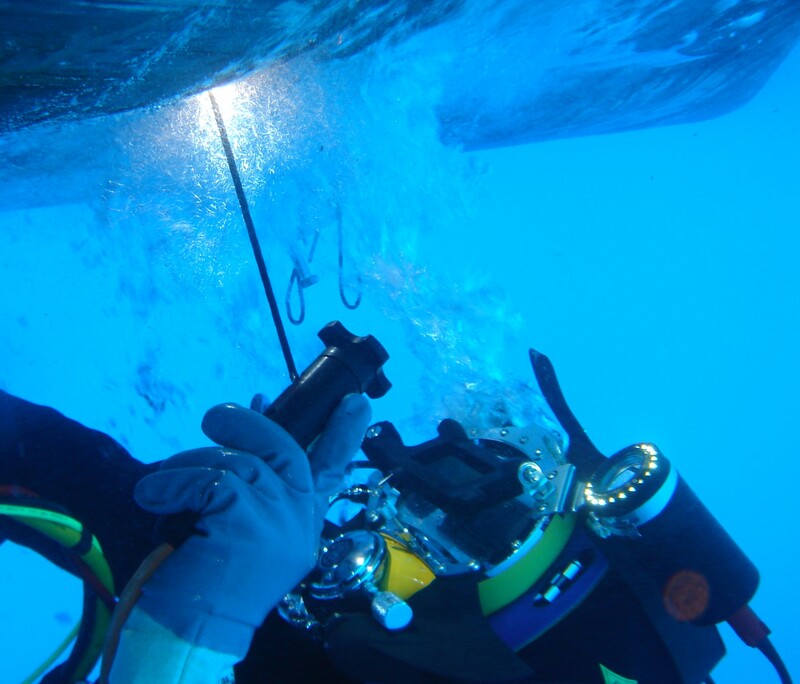 The installation process for the cone fins is done completely underwater by the expert team of licensed diving ship technicians, meaning that your vessel will not need to be drydocked or be out of service at any point. The cone is lowered into the water as close as possible to the propeller, then the technicians go to work to install them directly onto the propeller’s vortex hub. At Antwerp Underwater Solutions, we offer a wide variety of propeller services that can help you maximize fuel consumption efficiency without having to undergo serious repairs or processes. Our experienced diving engineers are able to complete all the work in a timely manner, while the process is extremely affordable and offers an incredible return on investment due to the massive savings on fuel consumption.